Apium P Series 3D printers are especially designed for the processing of lightweight materials at reduced production steps and zero materials waste. Lightweight materials enable improved fuel consumption and aerodynamic efficiency in aerospace applications. New materials for the aerospace industry are being developed and tested at great frequencies. The goals of such tests often focused on energy economy, weight reduction and fire-proof ambience for interior and exterior in aircrafts. PEEK, PEI, Carbon Fibre Reinforced PEEK are materials which are overwhelmingly interesting for the aerospace industry. Apium P Series 3D printers now process such materials thus opening opportunities beyond what is possible using traditional manufacturing methods. 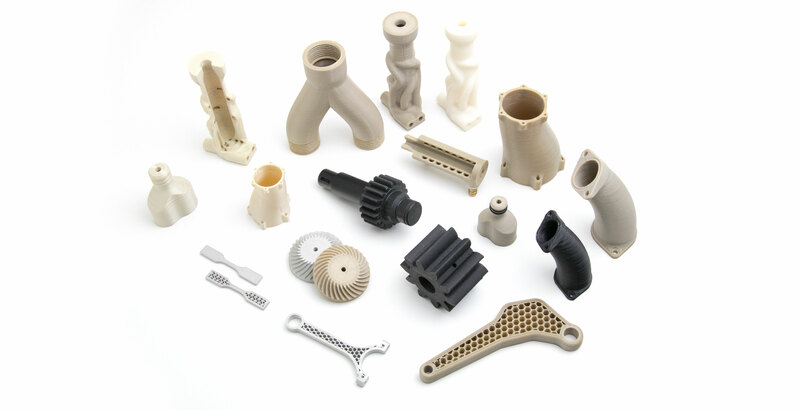 The P Series 3D printer is equipped with propriety technologies such as the Adaptive Heating System, which enables product development and material research capable of yielding greater engineering performance outcomes for the aerospace industry. Apium has made it possible for ESA to gain value-oriented insight to processing of high temperature polymeric materials using 3D printing technology. The work currently being pursued under the supervision of ESA`s Space Materials and Technology Specialist; Dr.Ugo Lafont, using Apium`s technology to print neat and conductive PEEK, specially developed by ESA, is without a doubt a key advancement for space research. Discover the extensive equipment options for advanced printing and future solutions for material development.